The Thoroughbred Racing Integrity Act of 2015, or HR 3084, has recently been brought back into the Turf Media among certain proponents, even though its hopes of passage hover conservatively around 4% (click here). Somehow, despite this, the discussion of medication uniformity via an added layer of bureaucracy to our sport continues to dominate our press. As stated several times within the last few months, the National HBPA, its affiliates and members stand ready to be fully supportive of national medication policies. The distinction between our request and some may say our demands, is that we stand firm to the principle that uniformity must be fair and equitable and based on scientific evidence: a concern which is shared by more than one State Attorney General. It is only with legitimate thresholds that we can ensure a level playing field, while preventing unjust penalties from being applied to innocent horsemen. HR 3084 is being positioned, by some, as the only way to achieve National Uniformity, when the truth is the fastest route to National Uniformity is to get the details within the rules correct. In every case in which the rules have been based on solid reasoning, uniformity across jurisdictions has followed rapidly. 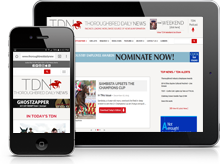 A recent piece in the TDN mischaracterized the position of those who oppose HR 3084 as believing everything is totally fine in the realm of Thoroughbred medication regulation. Nothing could be farther from the truth. Labeling those who oppose HR 3084 in its current status as obstructionists of our industry is inflammatory and incorrect. HR 3084 was drafted for the purpose of forcing jurisdictions which are holding out on the Model Rules to adopt them or face the specter of Federal Regulation. It is important to note industry stakeholder groups supporting HR 3084 and those opposing HR 3084 actually share the goal of National Uniformity. Those who refuse to allow their opponents a seat at the table for honest and open discussions are the true obstructionists. Failure to remove the blinkers and carefully consider the criticisms of the current National Uniform Medication Policy (NUMP) will only lead to further discord in our industry…something which horse racing can ill afford while it faces skyrocketing costs and a dwindling fan base. Threatening critics with a Federal Bill which has been deemed likely unconstitutional by the Congressional Research Committee, is truly counterproductive to the end goal of all members within our industry. Many of us know HR 3084 is under reconstruction. Why is that? Because opponents of this bill, like the National HBPA, are considered to be among the majority. How many of those who are listed in the press as supportive of HR 3084, do so without some conditional concerns? The effect on Interstate Horse Racing Act; the makeup of the governing board of the Thoroughbred Horseracing Anti-Doping Authority (THADA); the exclusion of board members whom have vested interests in our industry; the uncertainty of the financial backing; turning over States rights to a private organization; the inexperience of USADA within equine testing; and the issues revolving around the very uniform policies that would be implemented. All of which are very valid concerns that need to be addressed. The requirement that HR 3084 immediately adopts NUMP reflects (1) the assumption that there is legitimacy to the current therapeutic medication thresholds and withdrawals, and (2) the assumption that the integrity of horse racing is being undermined by therapeutic drugs. However we find facts tell a much different story. Additionally as many of us are aware, real problems of our industry will not be solved with HR 3084. The ARCI has made significant progress by crafting a set of uniform rules from a mismatched set of regulations across our racing jurisdictions. This set of rules, the NUMP, is a crucial starting point for achieving National Uniformity. 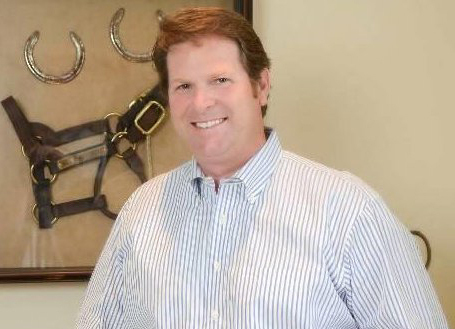 The goal of NUMP is paramount for the survival of horse racing, and this shared goal with other industry stakeholders has brought the National HBPA and our affiliates to the table with the ARCI. We will continue to support the goal of uniformity. The problem will not be solved by Federal oversight used to force regulations onto rogue jurisdictions, but rather the industry working together to get the details correct. The path to National medication uniformity in horse racing is not the addition of a layer of bureaucracy, but rather working together through appropriate research. One goal of the National HBPA is to continue our work along with the ARCI and RMTC on the medication model rules for the benefit of all concerned. We plan to continue to initiate population studies and ultimately work with other groups in our industry to achieve proper thresholds for all therapeutic medications. As with other ARCI Model Rules which have been developed, once deemed correct by the industry as a whole, rules will rapidly be adopted by Regulators across all jurisdictions, negating the need for federal legislation. It does not benefit the horse racing industry for any of us to “name call” in the headlines, because only in joining together as an industry, can we move forward as an industry.